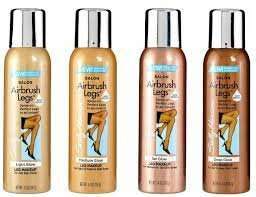 This is a great product, have used many times as I was blessed with pasty legs and being a redhead I fry instead of tan! It's really quick and easy to use and perfect as a quick fix to look good for a night out or special occasion. Looks really natural as long as you buy the right shade for your skin tone! Beware though, this makes a real mess of carpets etc during application so you will need to have some old towels to hand. Also, have previously trashed bedding through transferrance of this so make sure you wash off before bed. Despite those negatives I would absolutely recommend this product, and having previously paid not far off a tenner a can....this is a brilliant price! HOT!